Includes: One (1) Flying "R" Decal for use on many Holiday Rambler, Monaco Coach, Fleetwood RV Motorhomes, American Coach and several other makes and models of Motorhomes by leading RV manufacturers. HOLIDAY RAMBLER/MONACO/ROADMASTER Flying R Decal for baby moon hub covers. 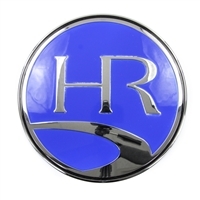 Includes: One (1) Holiday Rambler Emblem-Shield for use on many Holiday Rambler Motorhomes. This Emblem-Shield is installed on the front of the Motorhome. It measures 7" in diameter and is 1/2" thick. Includes: One (1) Logo Open Road for use on many Monaco Coaches. This logo if for the generator door on the front of the coach. 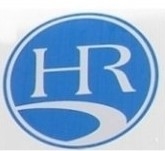 Measures 6" x 4 1/2"
Holiday Rambler Blue Logo 9.5"
Includes: One (1) Holiday Rambler Blue Logo 9 1/2", for use on many Holiday Rambler Motorhomes. This logo measures 9 1/2"